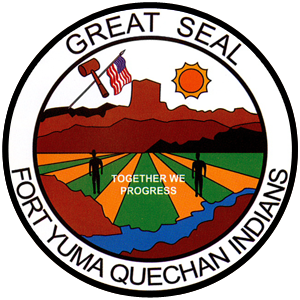 The mission of the Quechan Tribe’s Enrollment Department is to carry out the responsibilities of enrollment as deemed necessary by the Quechan Tribe’s Constitution and By-Laws. To protect the documentation provided for and by tribal members; to assist with integrity, accuracy and the utmost respect of confidentiality. 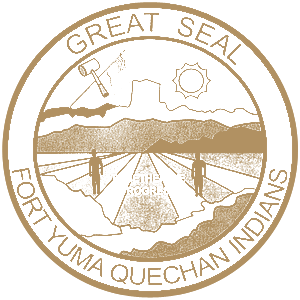 To provide and process enrollment applications for the purpose of review by the Quechan Enrollment Committee and recommending to the Quechan Tribal Council whether they should be approved or rejected. The Enrollment Department also processes relinquishment requests, blood degree increases/decreases and disenrollment in accordance with the Quechan Tribal Enrollment and Disenrollment Ordinances. The Department also assists tribal members with California Department of Motor Vehicles sales tax exemption forms and provides documentation (i.e. Certificate of Indian Blood, Residency Letters) to other agencies such as: Bureau of Indian Affairs, Quechan Social Services, Quechan Tribal Court, Quechan ADAPP and other tribal programs and agencies upon request of the tribal member. The Quechan Enrollment Committee convenes quarterly. The quarterly deadline dates for Enrollment Applications is: The first Friday in March, June, September and December of each year. Enrollment Application – Request by phone, in writing, or in person; must be an original application. Address changes – Maintain current addresses for themselves and their minor children. Name changes – Due to marriage or divorce; provide a copy of marriage license or divorce decrees. Custody/Guardianship – Copy of Tribal or State Court Documents regarding custody or guardianship of minors or adults. Death of a tribal member – Provide copy of death certificate, obituary or funeral announcement.